Labor Day has come and gone, which means its time to turn the page and delight in all that the season of autumn has to offer. 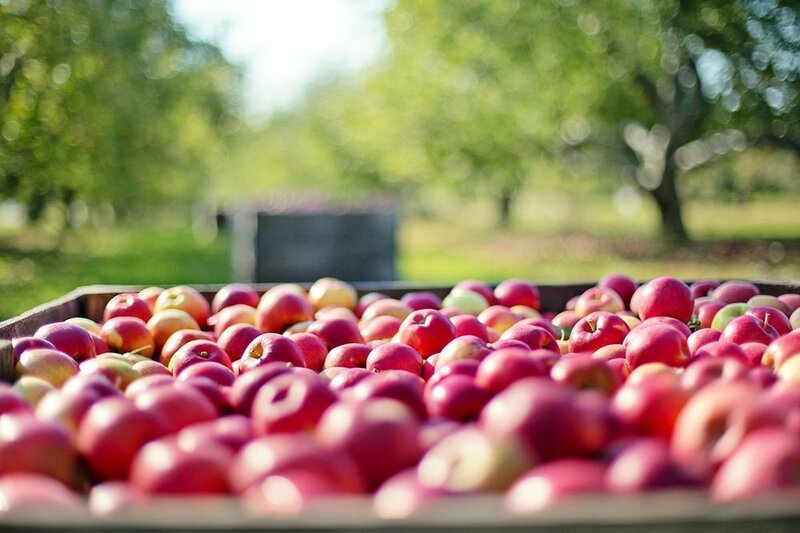 To help your mind transition from summer to fall — from the leaves putting on a pigmentation-altering parade to pumpkin spice everything being in your face at all hours of the day — I've cobbled together a list of Michigan cider mills that'll certainly get you in the mood for sweater weather. Having shamefully only been to two cider mills in my life — numbers one and two on this list — I reached out to friends, acquaintances, and confidants for their recommendations. I say this for the dual purposes of transparency and so you know I'm not just pulling things out of that place where the sun don't shine. Situated a tad south of Sparta, just off M-37, Klein Cider Mill & Market lies within a region in Michigan colloquially (and perhaps more widely) known as "the Ridge", what the Wikipedias call an "agricultural mecca" due to unique features (fertile clay loam soils, elevation, and proximity to Lake Michigan) that make it one of the prime fruit-growing regions in the entire world. After visiting in the fall of 2017 for the first time, I can also tell you they have a boatload of pumpkins — often at great prices. Apple Charlie's — the first cider mill I ever visited (at least in my adult life)! J. chilling off of I-275 between Ann Arbor and Detroit, Apple Charlie's comprises 95 acres of farmland and an unlimited amount of autumn-themed awesomeness in the form of pet-able animals, dwarf apple trees for easy picking, hayrides, and more. Sadly, when I went a couple years ago we arrived rather late and it was too dark to do much; less sadly, I walked away with a half-dozen donuts. Okay, two friends recommended this one, so you know it's good. Halfway between Mount Pleasant and Lansing — and right along US-127, for your apple-picking convenience — Uncle John's Cider Mill has been holding down the fort in central Michigan since the 1970s. Nowadays, aside from making apple cider, donuts, pies, syrup, and other goodies, they also have a fairly busy schedule of events during the season, such as the Mid Mitten Cider Fest and the Fall Craft & Gift Show. This might be the most popular cider mill not just in southeast Michigan, but in all of the Lower Peninsula (though there are probably places up north that would dispute this claim). Like those silly Chevy commercials where they try to have the "real people, not actors" list off all the awards the company has accrued in recent years, you could try (and fail) to name all of the activities available at Wiard's Orchards in one breath, or you could save yourself the trouble and just take a look at their homepage. Makers of artisanal hard ciders, Tandem Ciders prides itself on creating a European-style culture of apple and cider appreciation in Northern Michigan. With nifty offerings like Smackintosh (sweet and tart cider; 4.5% ABV) and The Crabster (crisp, tart, dry cider; 9% ABV), your taste buds will thank you for stopping here. Save for the cider, you can always use an excuse to take a drive up M-22 anyway. What started off primarily as a peach farm in 1911 has grown into what Robinette's is today: a 125-acre property that, on top of the peaches, now grows apricots, cherries, nectarines, blackberries, and 35 varieties of apples — some of which are harvested strictly for hard cider production. Robinette's Apple Haus opened in 1973 and has been serving bread, donuts, pastries, pies, soups, sandwiches, coffee, and, of course, apple cider, ever since. Last but certainly not least is Klackle Orchards in Greenville (or thereabouts), which comprises a whopping 600 acres, half of which is devoted to growing up to 200,000 bushels of apples a year (!!). The Family Fun Farm, with corn maze, wagon rides, petting zoo, BMX track and more, and the Cornucopia retail farm market make for plenty to do during your visit to Klackle. Information about the abundance of activities available at the orchards can be found here. Be a dear and let me know if there is a cider mill in the Lower Peninsula missing from this list that you absolutely love, would ya?